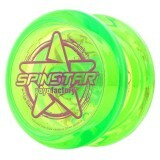 The Spinstar is the new, beginners yoyo from YoYoFactory that every beginner should get! .. 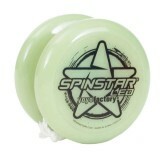 This is the LED GLOW IN THE DARK version of the great beginner's yoyo - the Spinstar! 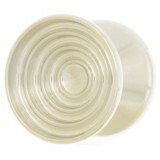 This..
Whistle while you work, with YYF's Steel Whistling YoYo! 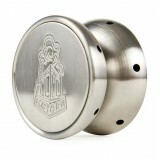 The YoYoFactory Stainless Steel Whistl.. The legend returns! The original superstar was the first full sized metal yoyo to win a t.. The YoYoFactory Too Hot, is the follow-up model from the original H.O.T model from YoYoFactory l..
Another of YoYoFactory's Project YoYos, the Turntable is something special! Featuring a quad-ste..
Adjust-o-matic dials to go from responsive looper to unresponsive super-sleeper! THE yo-yo of t.. The YoYoFactory Wedge is Evan Nagao's Newest signature yoyo. Made from Delrin (machined, very ha.. The Whip is a proven performer and offers so much for such a great price - now RESPONSIVE! This.. 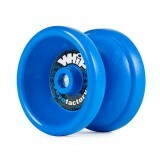 The Whip is a proven performer and offers so much for such a great price! A true game changer. ..